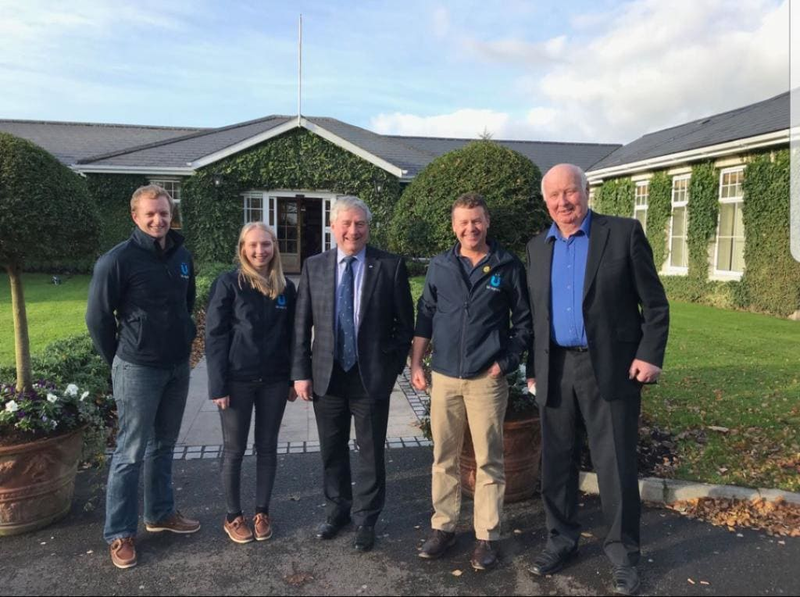 OUR team here at Bluegrass Horse Feeds have attended the Equine Nutrition and AllTech Equine Summit in Newbridge, Co Kildare, which brought together the thoroughbred and sport horse sectors of the equine industry in a day-long series of presentations and discussions with equine experts and industry leaders. Our MD Kenneth Irwin along with Craig Kileff, Ashley Neely and Conor Sheridan attend yesterday's Equine Summit. A plenary discussion on the equine industry in Ireland formed the central part of the day, followed by a choice of the thoroughred or sporthorse breakout discussion afterwards. Top speakers included the founder and president of AllTech, Dr Pearse Lyons, the Minister for Agriculture, Food and the Marine, Michael Creed and the chairman of Glanbia PLC Henry Corbally. The plenary discussion was about how we evolve, compete and lead the global equine industry and can we collaborate to overcome challenges. Involved in this discussion was Brian Kavanagh, CEO of Horse Racing Ireland; Ronan Murphy, CEO of Horse Sport Ireland; Dr Noel Cawley, chairman of Teagasc; Meta Osborne, senior steward at Turf Club and Leo Powell, Editor of The Irish Field. In the evening there were two breakout sessions. Kenneth and Conor attended the Sportshorse Breakout Session which focused on how can the Irish Sportshorse sector position itself in a changing market. Leading the discussions were Lucinda Creighton from Vulcan Consulting; International showjumper Cameron Hanley, Johann Knapp, director of KWPN Dutch Stud Book and Suzanne Campbell, a broadcaster and journalist. Meanwhile, Ashley and Craig attended the Thoroughbred Breakout Session which examined what success looks like for the thoroughbred breeders from an international viewpoint. Leading those discussions were racehorse trainer and breeder, Jim Bolger, Joe Foley from Ballyhane Stud, Richard Aston, from Goldford Stud, Brendan Holland from Grove Stud and Lorna Fowler, a thoroughbred trainer and breeder. The team had a great day at the summit and enjoyed meeting up with sector leaders.